If you’re a serious gamer, you want the equipment you play on to be top-notch, too. Killer graphics, good sound, a quick on-screen response are all important factors to consider. If you’re debating using a projector vs. TV for gaming, we’re here to help you make the decision. We’ve broken it down below into the most important considerations so that you can see side-by-side which one is the better choice for you. While TV screens are getting larger and larger, those are solid objects—and the size is something you’ll have to contend with. Wall-mounting TVs of that size is much trickier because of their weight, and moving them can be a huge hassle. With a projector, you get that extra screen width in the same compact package. 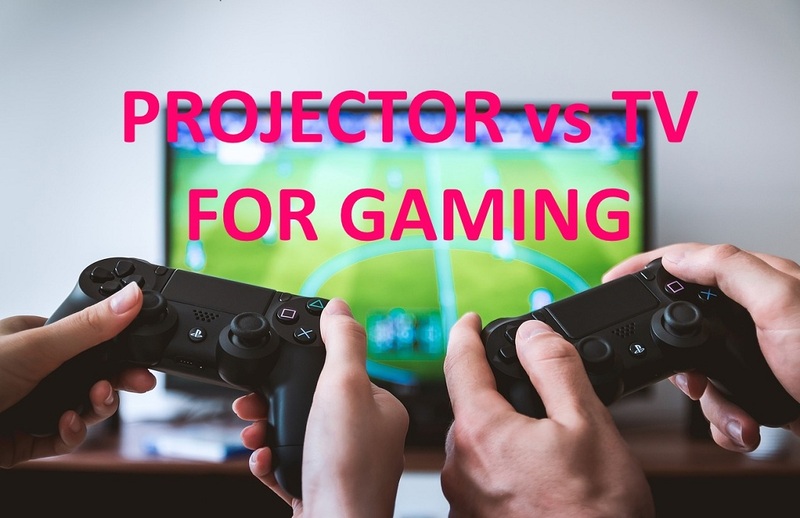 The main people who will be excited about this ultra-large screen option are split-screen multi-player gamers (>>>Check our list of best projectors for simulator games). 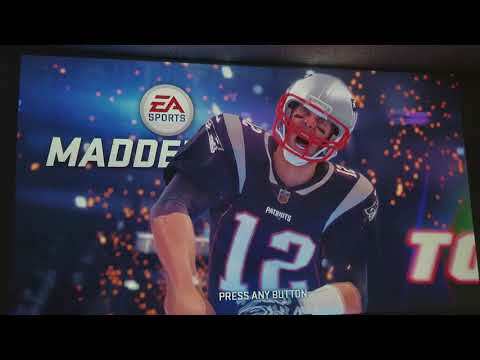 When you split a smaller TV screen into four sections, it severely limits the visibility for each player. With a projector, each player gets their own quadrant the size of a standard TV screen, so everyone doesn’t have to cram themselves up close to the TV just to see their character. 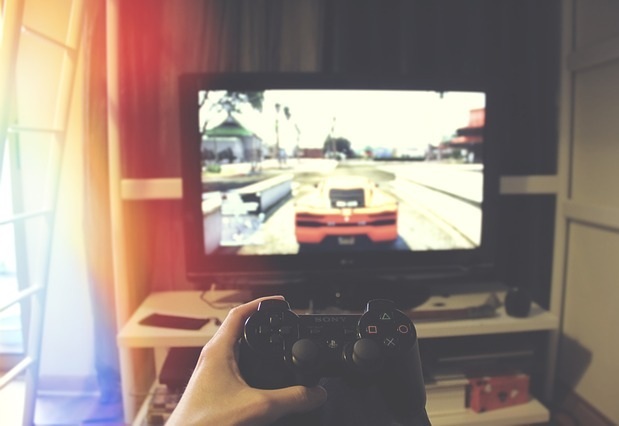 The size of the screen isn’t the only factor in a gamer’s decision. The on-screen clarity is equally important, especially as games continue to push the boundaries of their graphics engines. A fuzzy screen can be more than an annoyance, and can actually impact your in-game skill, especially with more sophisticated first-person shooters. The majority of projectors top out at 1,080p resolution. While you can find projectors that offer 4K UltraHD resolution, these are still fairly rare—and they don’t come cheap. At around $1,300, the model linked to here is one of the cheaper options; most will cost closer to $2,000. For all this, the resolution still won’t be quite as sharp as a television with an equivalent resolution, simply because of the way a projector works. Now whether 4K resolution is even a factor in discussing projector vs. TV for gaming is another question. Only the most recent generation of gaming systems, like the PS4 Pro, currently support 4K. These options will soon be expanding, however, so while you don’t need 4K to enjoy your games yet, if you’re the type who likes to be at the cutting edge of the industry it’s a feature you should spring for. If you already use an external home theater set-up—or play mostly through headphones—this one is a non-issue, but it’s still worth bringing up. The sound that comes out of most TVs isn’t fantastic, but it’s good enough to at least hear what’s going on during your gaming sessions. The speakers in most projectors, on the other hand, are more on-par with a laptop’s speakers. They probably won’t cut it for solo sessions, and definitely don’t have the power to be heard over split-screen parties. If you don’t want to have to buy dedicated audio equipment, a standard television is the way to go. Projectors are definitely cheaper when you consider the price per inch. The most affordable 70-inch TV is still going to cost you over $1,000. If you want an 80” display, you’re talking at least two grand, and the price only goes up from there. On the other hand, you can get a high-quality projector for a few hundred bucks. Things do get a little tricky when you add in things like the resolution, or whether or not you’ll need to buy external speakers. Still, though, on average you’re going to spend less on a large-scale projector set-up than you will with the equivalent size of TV. Ultimately, this question comes down to size. If you want a 60-inch or larger display, you should at least consider projectors when you’re assessing your options. They’re both a better value and more versatile overall, and can even give you an equal resolution and response if you’re willing to shell out the money. For smaller displays, though, the TV remains our gaming tool of choice.